The Wines of Languedoc – Whats behind the Label? Languedoc is the oldest producer of wine in France, and one of the most prolific wine producing regions of the world. 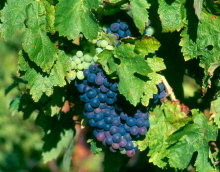 Traditionally it has been described as a region that produces table wine, or “vin ordinaire”, and the Languedoc has been hit badly by the influx of new world wines onto the world market. However, the last 15 years have seen a revolution in wine making techniques and approaches, and one sees more and more innovative and dynamic wine producers moving into the area producing more and more deliciously drinkable wines dedicated to quality. This guide will aid you on your search for the perfect accompaniment to haute cuisine! present wherever you look. Vines stretching as far as the eye can see, seeming as if they’ve been there since the Romans planted them. This is a landscape shaped and mastered by man, where agriculture has been shaped by the light, the wind, and the Mediterranean. Olive farmers and vine-growers have learnt over the centuries to work with dry climate, garrigue and steep slopes, sandy plains and rocky mountains, and of course the prevailing windy conditions of the Languedoc. The Greeks brought vines to Languedoc-Roussillon in the eighth century. Then, during the Roman era wine-growing spread along the Via Domitia and the region began to compete with Italian wines. The industry suffered a setback during the Saracen occupation but in the ninth century it experienced a revival, assisted by the monasteries and abbeys. When the port of Sète was created and the Canal du Midi opened in the seventeenth and eighteenth centuries, the new prosperity of the area boosted the development of the wine industry. From this point on wines began to be exported via a growing transport network. In the ninteeenth century, the railways were developed, allowing access to northern France and its market. It was at this point that the plains, hitherto reserved for cereal crops, were also given over to vineyards. Up to this point, vines had only been grown on the hills and garrigues. Septimanie wines, the new brand name (which may be dropped) for the regions’ wines, comprise some of the most ancient wines in the world. They are the perfect accompaniment to a local cuisine based on olive oil, seafood, vegetables and bread. So do you recognise your Languedoc wines? Do you know the birthplace of Minervois or Faugères? The wines of Languedoc have their own unique character, spiced by the presence of lavender, thyme, laurel and rosemary. Here are the main wines accorded Appellation d’Origine Controllée in the Hérault or the Gard, and a brief description to assist you in your next visit to the wine merchant. For a full appreciation of the culture and history of the wine industry, why not visit the site www.languedoc-wines.com. You will have all the knowledge to invite your friends around for a wine tasting or dégustation, in order to discover the character of Languedoc. Covering over 6700 hectares spreading between Nîmes and Narbonne, each territory has its own strong identity and has hits of the garrigue. Some soils produce generous robust wines and more gravely soils produce fruity round mellow flavours. These wines develop a finesse and are often best served with fish and seafood. Situated at the foot of the Black Mountain, covering 3000 hectares, this wine is fruity, generous or long in the mouth. Some are best young while others need to be drunk after 5 years. This is a hunting region and the red wines are perfect for accompanying game (gibier) and meat. Located to the north of Béziers on the lower slopes of the Cévennes, the Faugère wines are round with soft tannins, slightly flavoured with ripe fruit and garrigue. Best served with a piece of beef or gibier, but also served with fowl. The vineyard has long been famous and much appreciated. Situated between Narbonne, Béziers and Carcassonne, the vineyard was the first to be established in the Languedoc-Roussillon region, having been planted by the Romans. It lies under the foothills of the Cévennes in full sunshine. In the East, red wines have attractive cherry like colours with fruity blackcurrant aromas. In the Central area, the reds have berry aromas or are fullbodied with some spicy elements. The whites have fresh and floral aromas. In the higher zones, the white wines are able to develop fully and have heather fragrances. The village of Saint Jean de Minervois produces Muscat wines with sweet, delicate aromas. These are produced in the south near the delta of the Rhône river. The reds are round and fullbodied with finesse as well, and known for their floral aromas and deep red colour. The rosés have subtle flavoured aromas. The reds should be served chilled with grilled meat or roast fowl. But maturer reds should be served with red meats. The whites are perfect chilled and served with goat cheeses, grilled fish or seafood. Grown on the plateau of the Costières, this is a unique variety with plenty of aromas, and balance. They should be served between 10° and 12° and within a year. The Gard produces 25% of total production of the Côtes du Rhône wines, which actually cover six departments. In the Gard you will find the Côtes du Rhône Régional, the Côtes du Rhône Villages and the appellations locales (Lirac and Tavel). The following Muscats are produced from the small white Muscat grape. Famous for decades, and renowned in the 18th century, this Muscat is produced near Frontignan and Vic la Gardiole on the Hérault coast. It has an old pale yellow colour and a powerful aroma with hints of citrus fruit. It has its own special bottle design. To find out more visit the Chateau de la Peyrade. Grown on rich and pebbly soil, this wine is produced around Lunel and Vérargues, between Montpellier and Nîmes . The wines are very fruity. Grown on the hillsides of the Massif de la Gardiole near Frontignan, the wines have a pale yellow colour and a taste of honey. Grown in the Minervois region to the north of the Hérault, this Muscat has musky aromas.